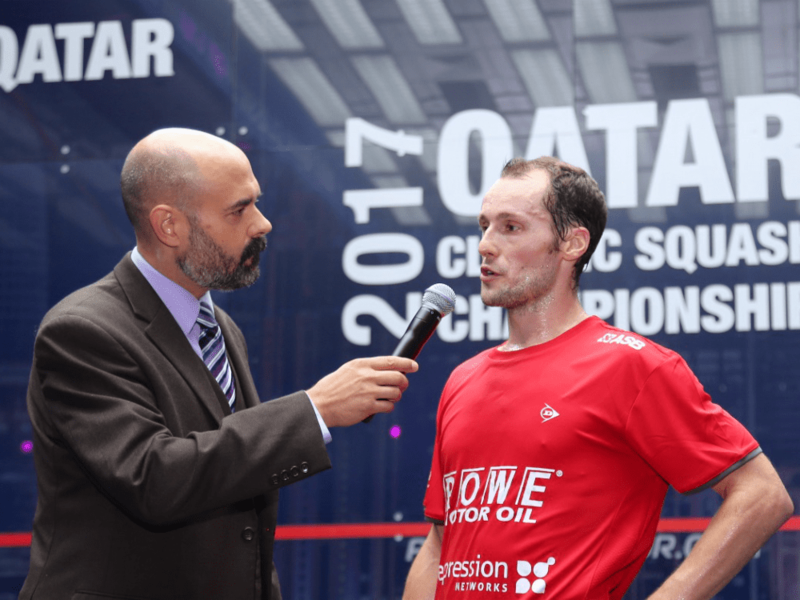 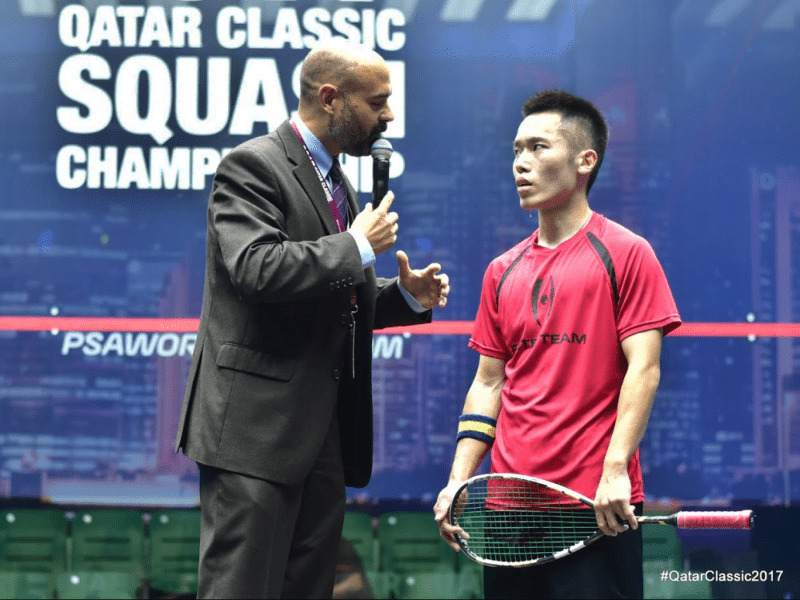 Since before 2001, the State of Qatar has hosted the PSA World Tour’s elite talent at the Khalifa International Tennis and Squash Complex. 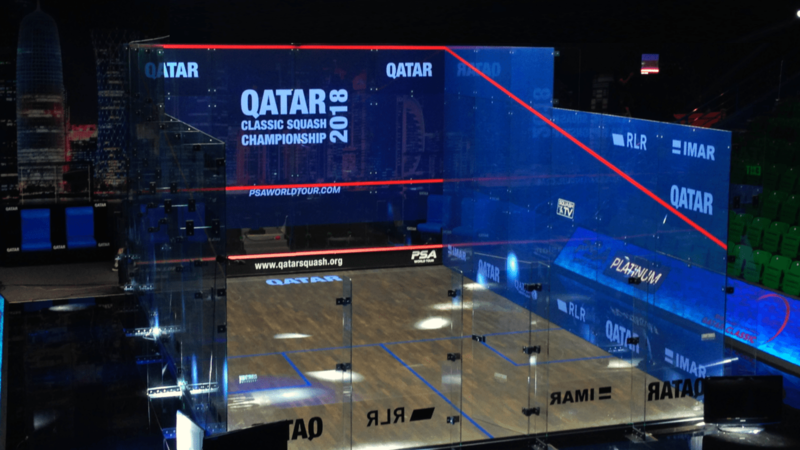 2018 marks the 15th anniversary of the Qatar Classic. 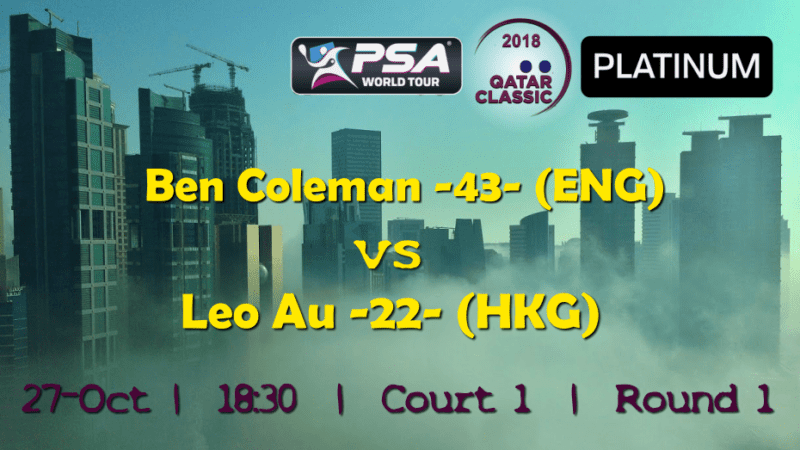 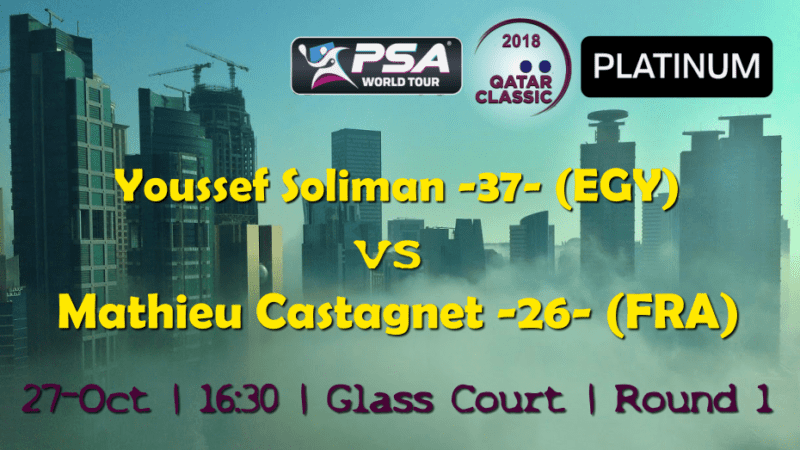 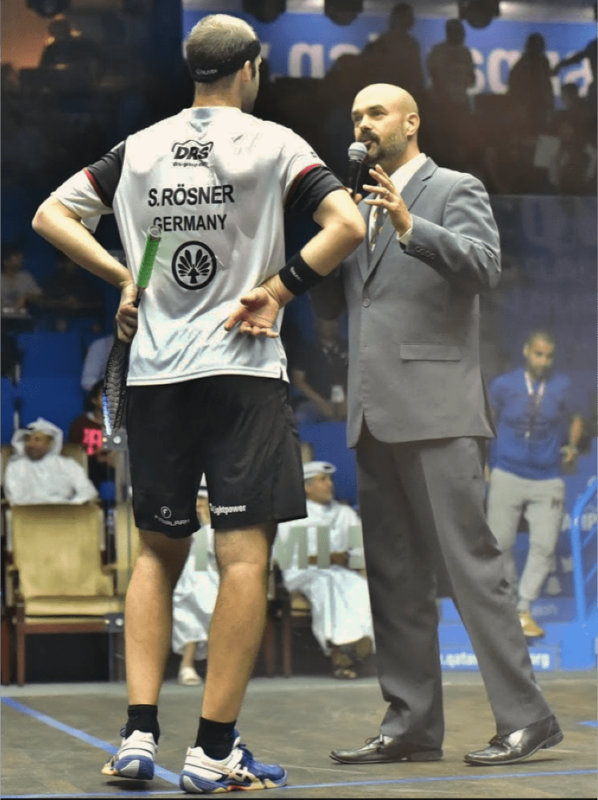 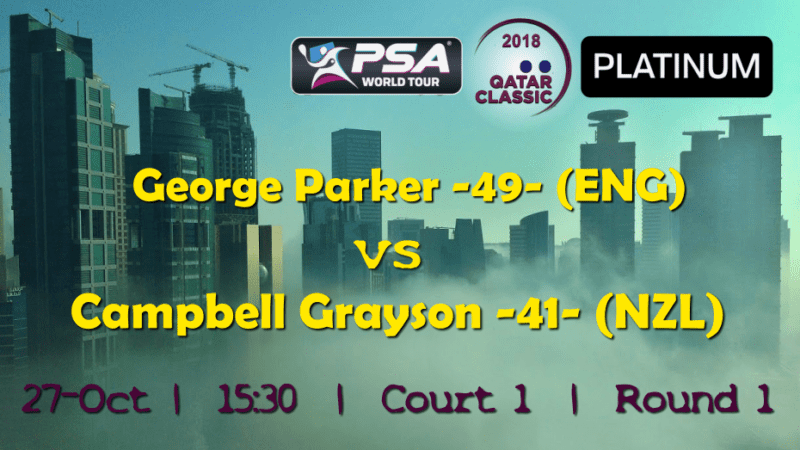 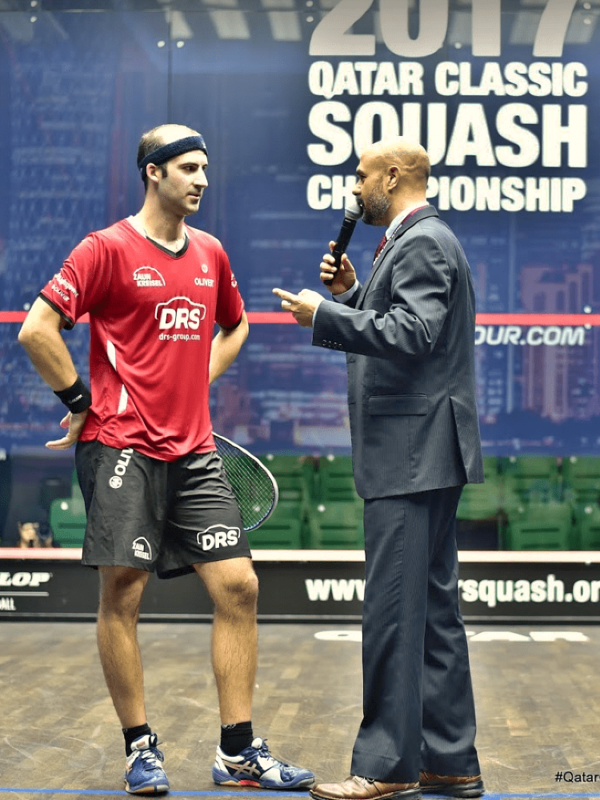 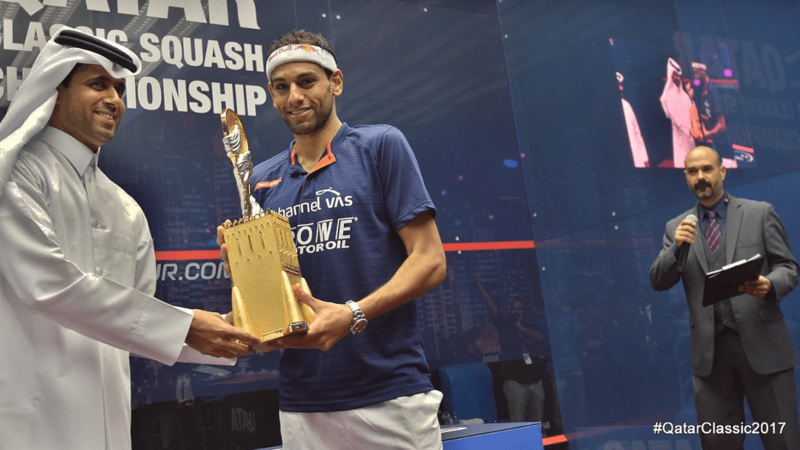 Last year, current World #1 and World Champion Mohamed ElShorbagy emerged the victor, with a 4-game win over World #7 and fellow Egyptian, Tarek Momen. 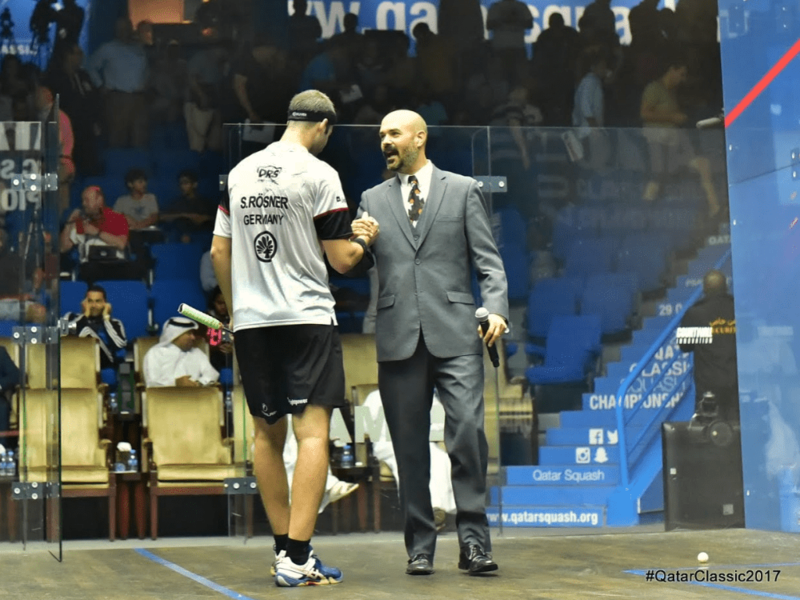 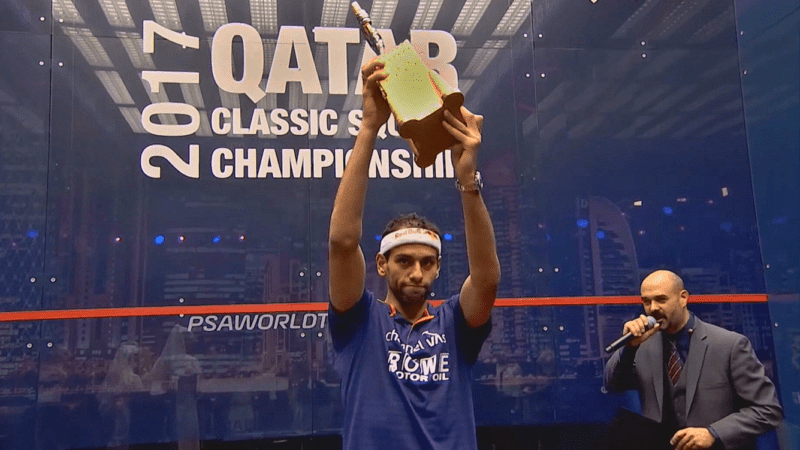 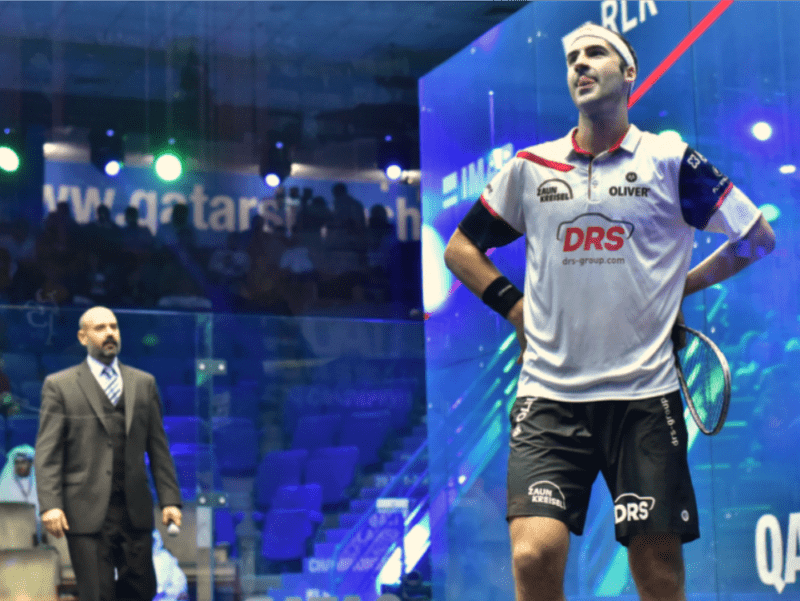 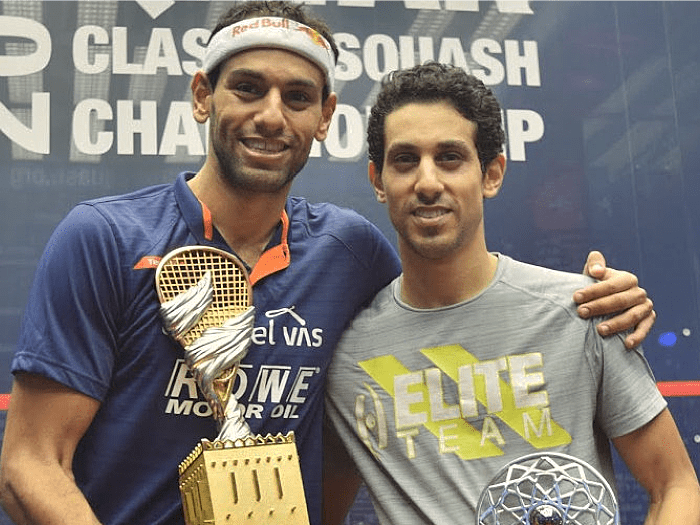 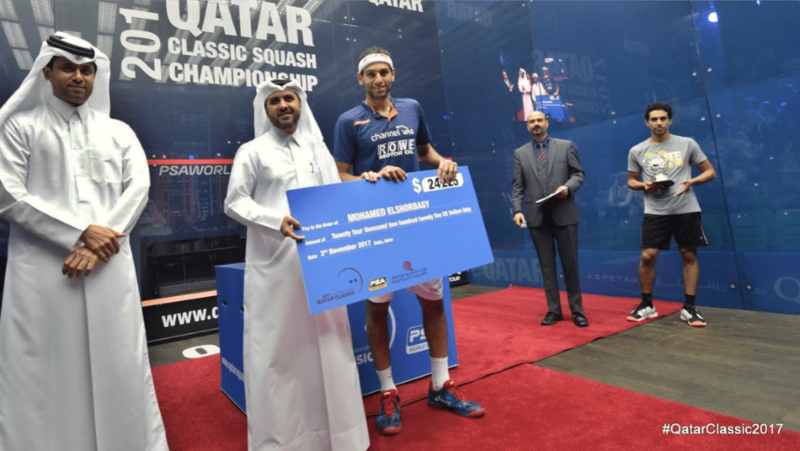 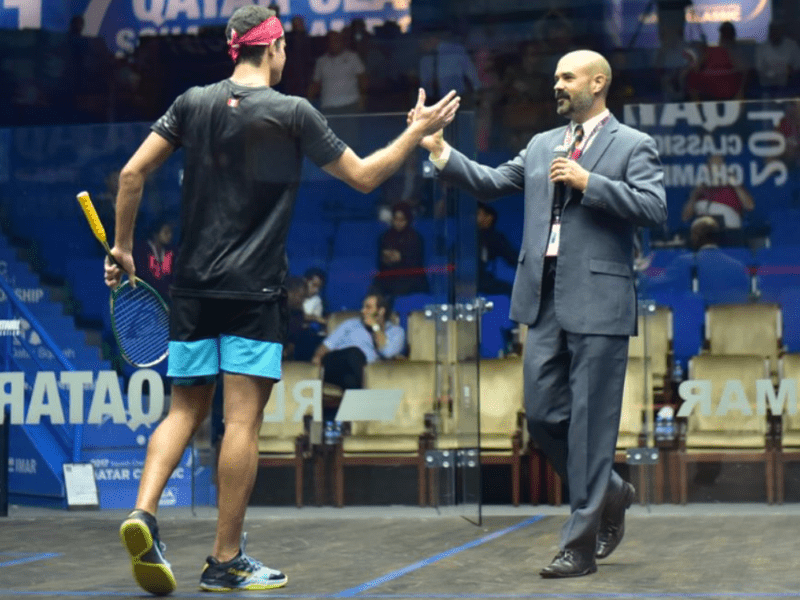 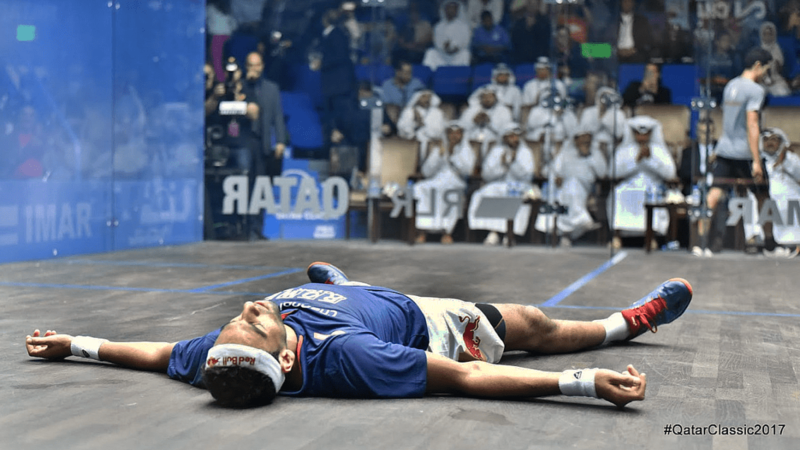 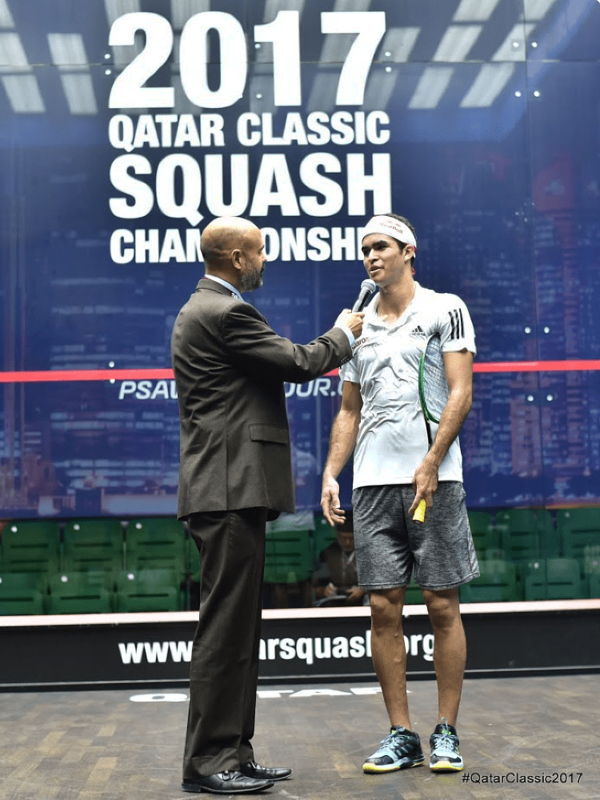 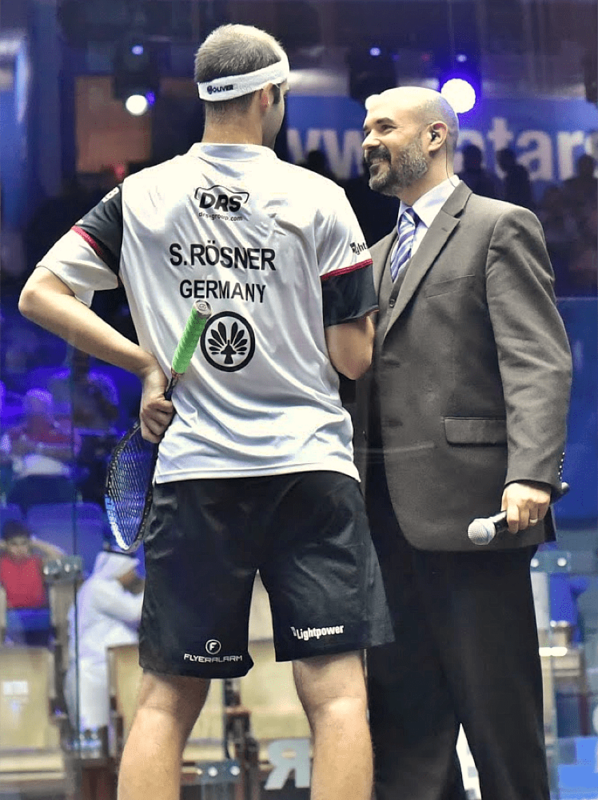 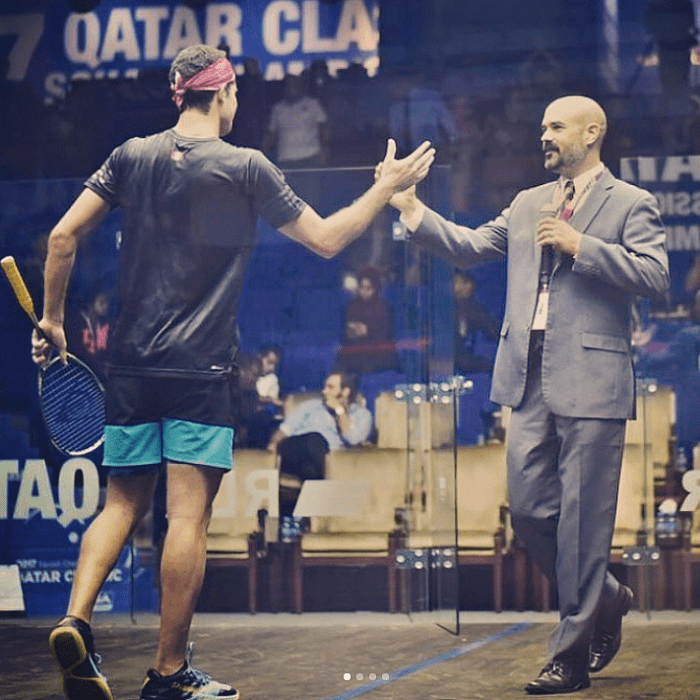 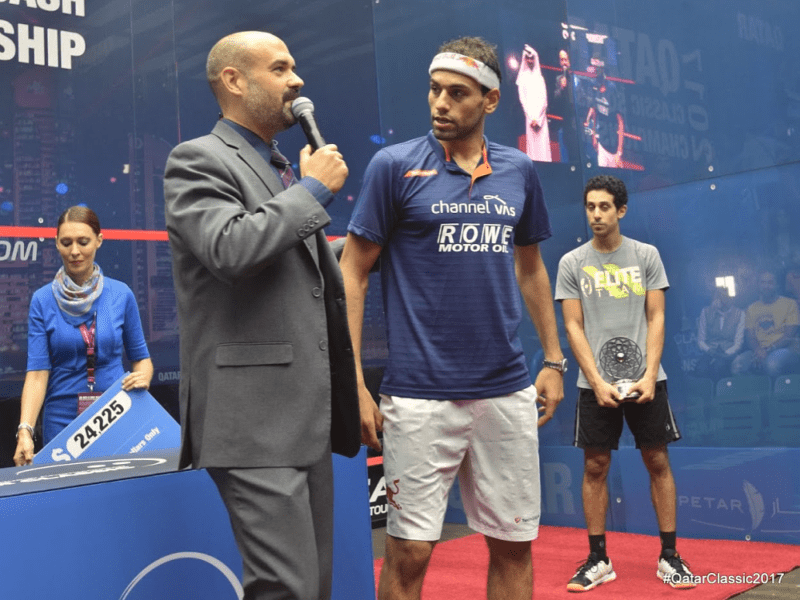 It was ElShorbagy’s 3rd Qatar Classic title, and his 6th successive Final in Qatar, surpassing legend Jansher Khan’s record of five consecutive Doha Finals in the mid-90’s. 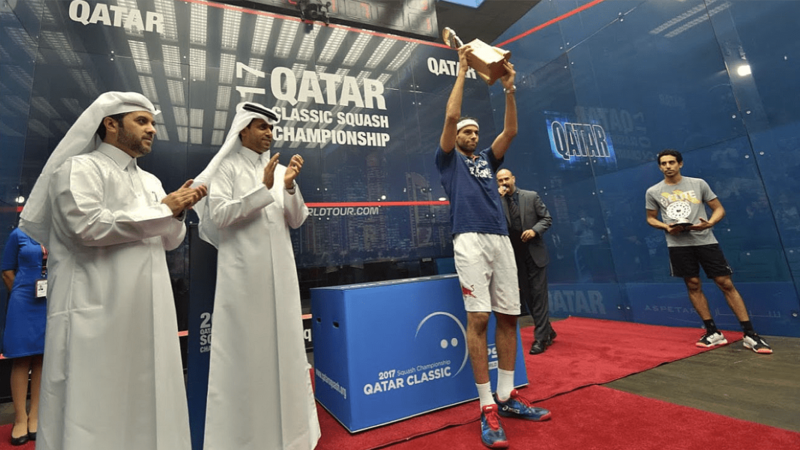 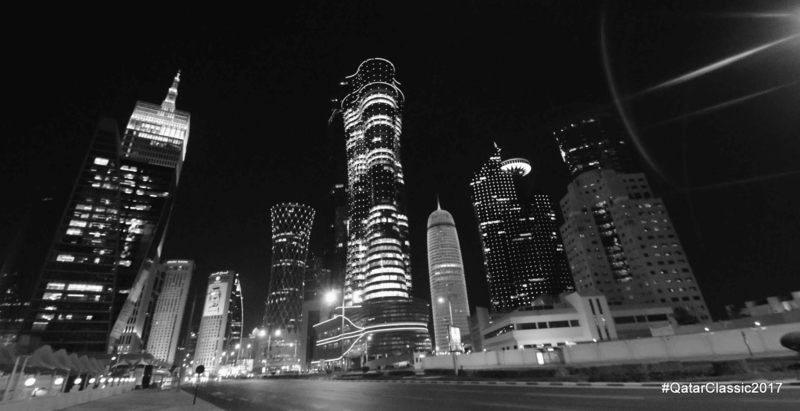 Doha has also hosted the sport’s most prestigious tournament, the PSA World Championship in 2004, 2012 and 2014. 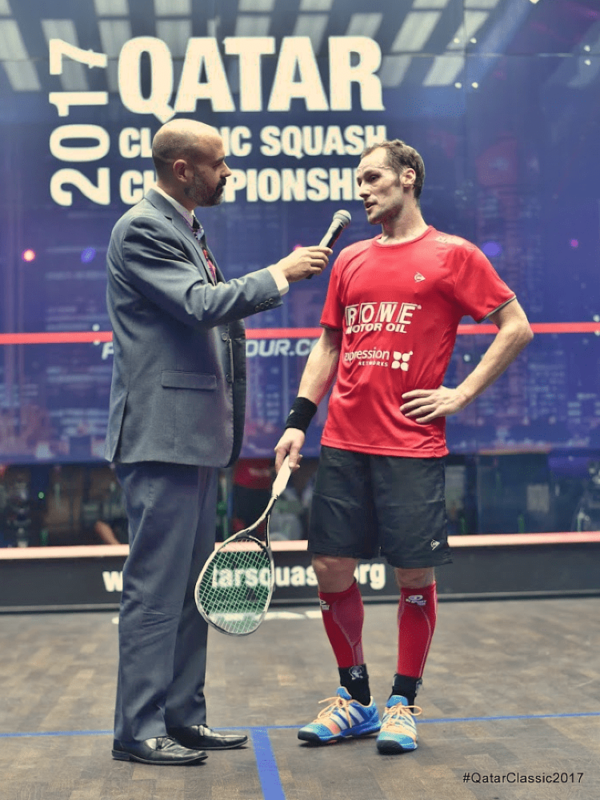 Many of the sport’s most distinguished athletes have earned victory on this stage. 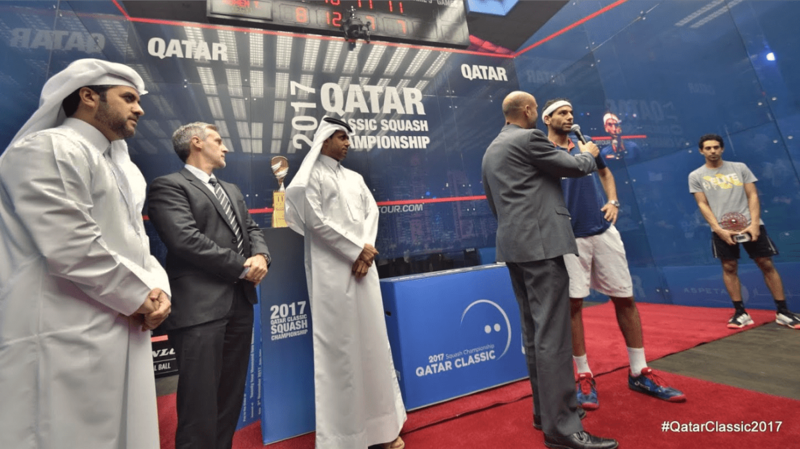 These tremendous athletes are some of the most thoughtful, modest and articulate characters in sport. 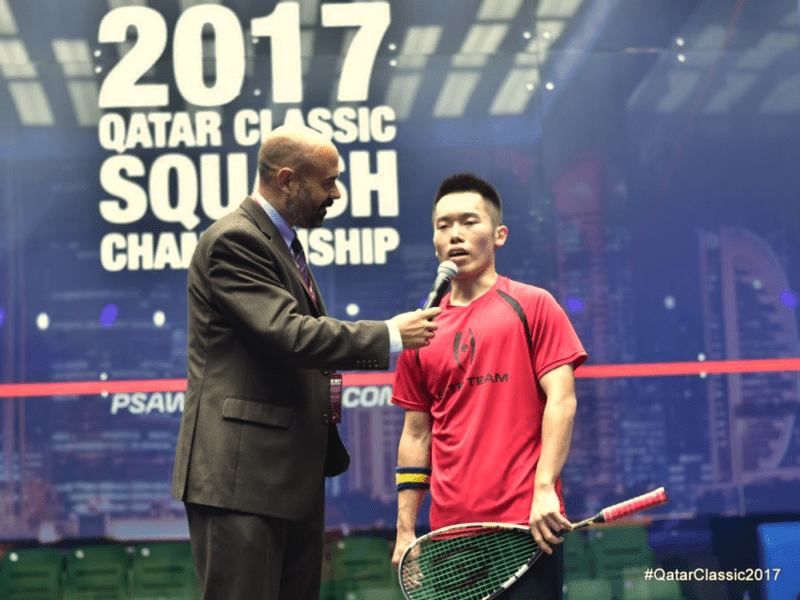 Their passion to compete, respect for the game's heritage, and open embrace of new and insightful technology is both inspiring and infectious. 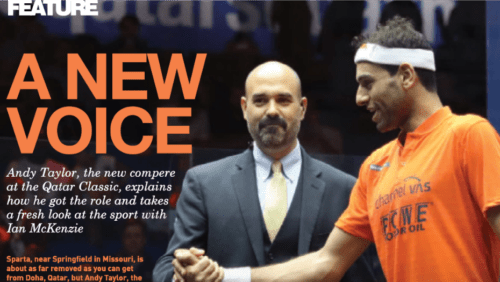 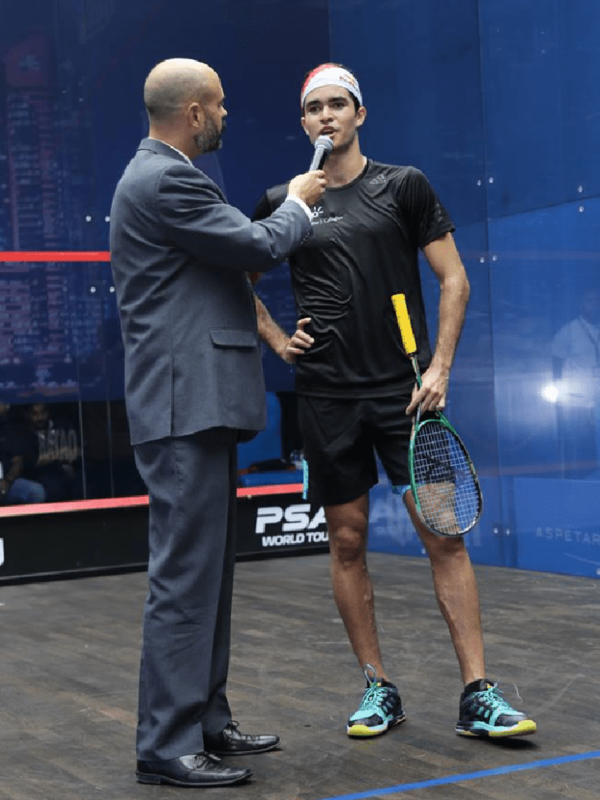 The future of squash is now, and the game's expanding fanbase is a testimony to the talent, selflessness and humanity of today's professional players. 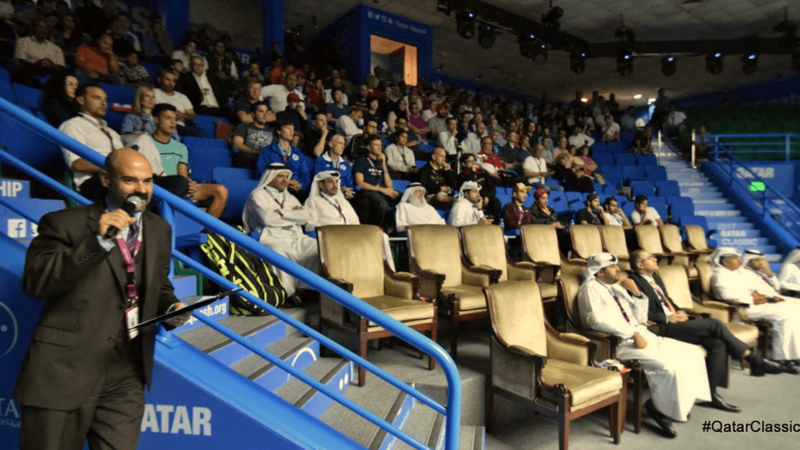 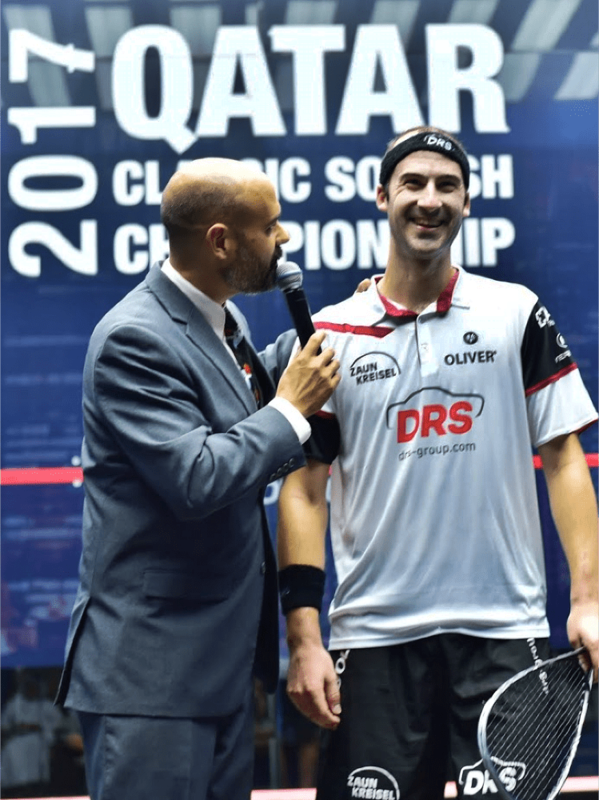 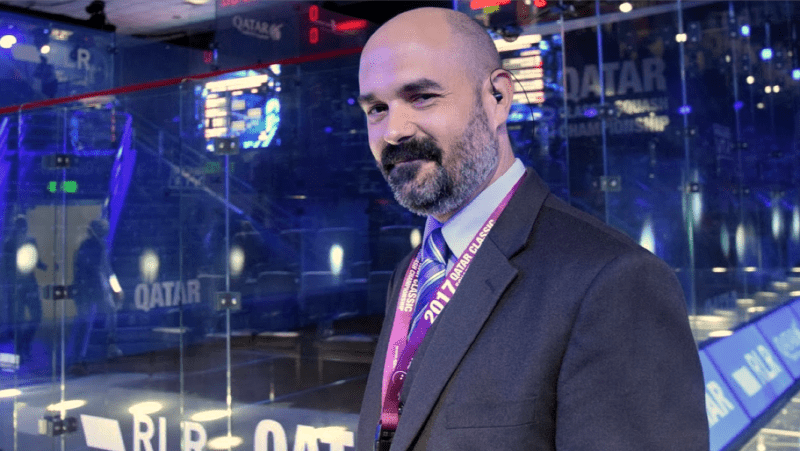 It is truly a humbling honor to be back at the Qatar Classic Squash Championship to LOUDLY share a few moments of individual achievement with these visionary champions.